Everyone loves something fresh. 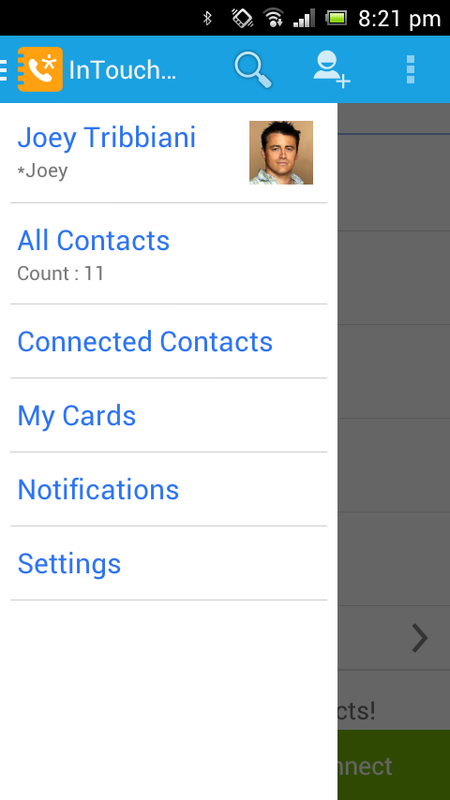 Over the past few months, we have made significant changes to make InTouchApp easier to use. Here are some of the highlights. New app icon Our new icon signifies what InTouchApp stands for. The backdrop is a contact-book with a phone inside – indicating phone contacts. The asterisk, with a human touch, signifies your all important contacts connected via InTouch (InTouchID also starts with an asterisk!). We are now using a clean, blue theme with a focus on simplicity. 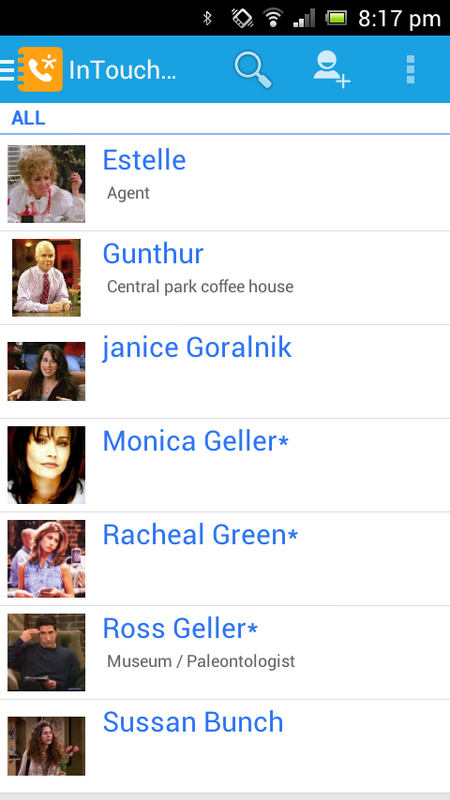 Apart from being easier on the eyes, the new theme brings focus to the contact photos. Exchanging contact info remains a manual laborious task that no one likes. Wouldn’t it be nice if we could just tap to share info with someone and they could just tap to get the info into their contacts? No more painful manual typing when someone gives us their phone number! Let your InTouch cards do it for you! Just swipe on the card to share it with anyone – even with people not using InTouch yet. 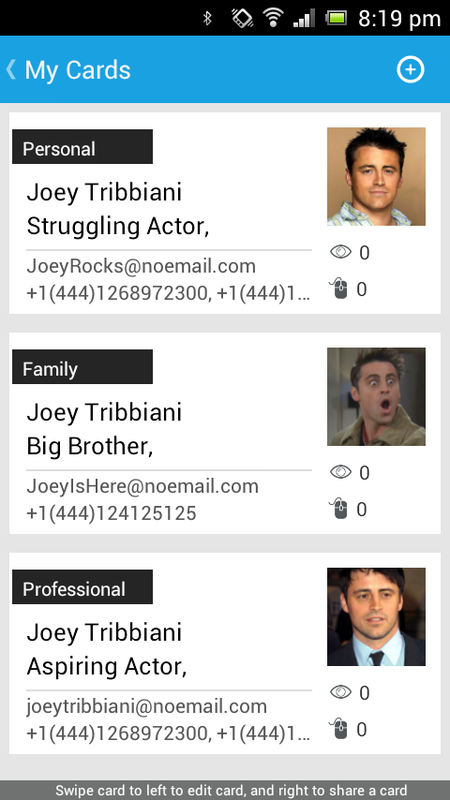 Create cards for each of your avatars and share them selectively with people you meet. On Android you can now tap on the InTouch icon on the top-left corner to access the side panel. The side panel will let you choose what you want to view on the main screen. PS: For most of you the new version should be downloaded and installed on your phone already. If you are not seeing the new app, get in touch with us and we will help you out. Minimum requirement is Android 4.x or iOS 7.x or Blackberry 10.2+.